Naturally, the most creative of minds are drawn to l.a.Eyeworks, and Steve Hurd is no exception! 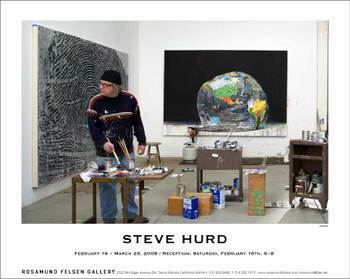 Here is Steve sporting the Flatbed, while painting in his studio. 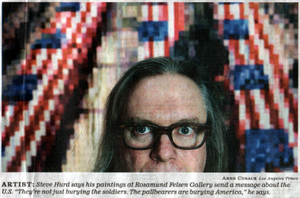 The image was used for the announcement for his new show, which opens at the Rosamund Felson Gallery on February 16th. 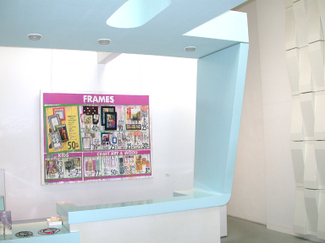 And yes, that is Steve's painting, "Frames" (2006), hanging in the l.a.Eyeworks flagship store on Beverly Blvd that you see in the second photo.